Actor Rajinikanth has begun personally inviting guests for his daughter Soundarya's grand wedding next week. Chennai: Superstar Rajinikanth's daughter, Soundarya Rajinikanth will be tying the knot on February 11 in Chennai. So now, superstar appa (father) has taken upon himself to personally invite the guests for the wedding next week. According to sources, Rajinikanth has decided to invite a few big celebrities personally. Wednesday morning he met state president of Tamil Nadu Congress Committee Thirunavukkarasar to give him the first wedding invitation. 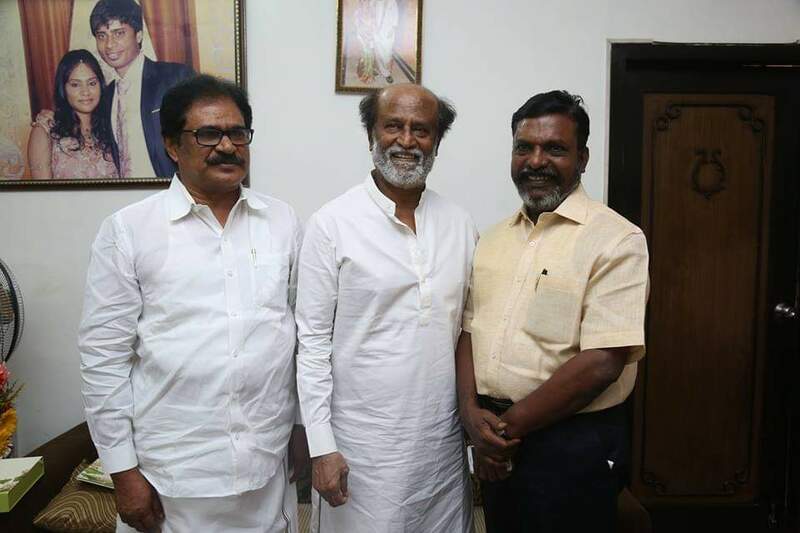 Rajinikanth also went to Nadigar Thilagam Shivaji Ganesan's house to invite his son Prabhu. 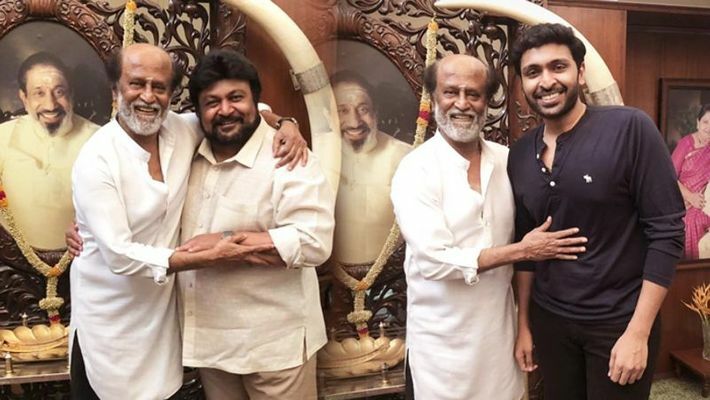 Shivaji's grandson, actor Vikram Prabhu shared a photo with the superstar on his Instagram. Later, in the evening, he met DMK's President MK Stalin and invited him too. 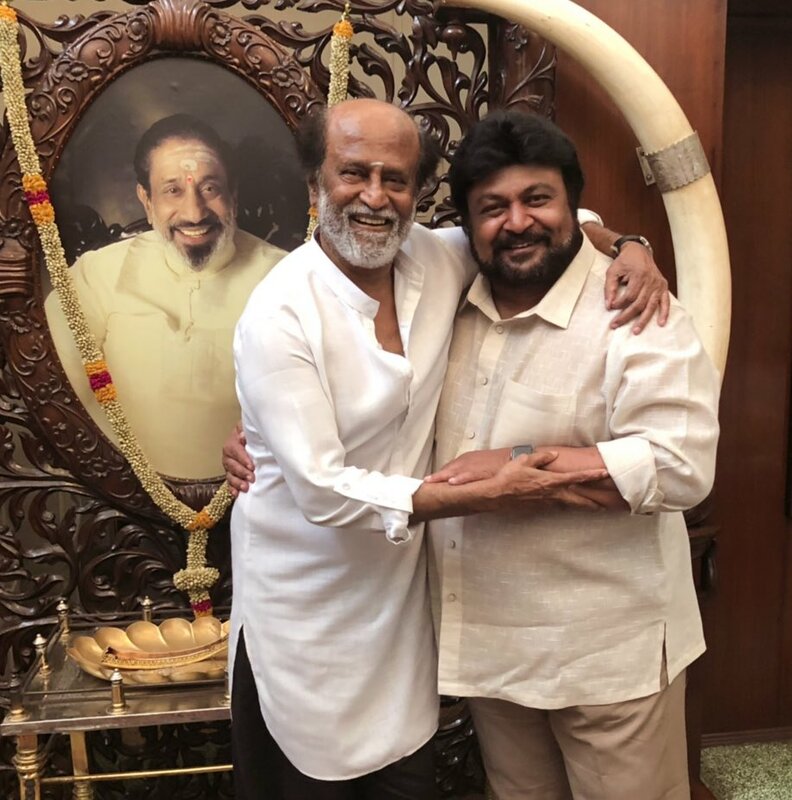 Rajinikanth's family has kept the guest list restricted, and besides close family and friends, only a few film and political celebrities will be present at the wedding. A few days ago, Soundarya posted a photograph of herself on Twitter where we can see her dressed like a bride-to-be. She is wearing a blue and orange Kanjivaram sarees with gold prints. She completed her look with a heavy necklace and earrings set with Navratna stones. She is wearing a gajra and a small bindi looking like a beautiful Tamil bride. According to reports, the couple will tie the knot on February 11 in Chennai with pre-wedding ceremonies like mehendi and sangeet that will be held on February 10, 2019. The wedding is expected to be a private affair only for close friends and family members. She is getting married to businessman-actor Vishagan Vanangamudi, who is the son of popular businessman Vanangamudi and his brother SS Ponmudi is a member of the political party Dravida Munnetra Kazhagam. This is the second marriage for Vishagan. He also acted in the film Vanjagar Ulagam (2018) in which he played a pivotal role. This is Soundarya's second marriage too. She was earlier married to businessman Ashwin Ramkumar in 2010, and they have a four-year-old boy named Ved Krishna. The couple separated due to some differences and got divorced in 2017. Milind Soman-Ankita Konwar tie the knot again, this time barefoot in the woods! Rajinikanth's daughter Soundarya is getting married for the second time?